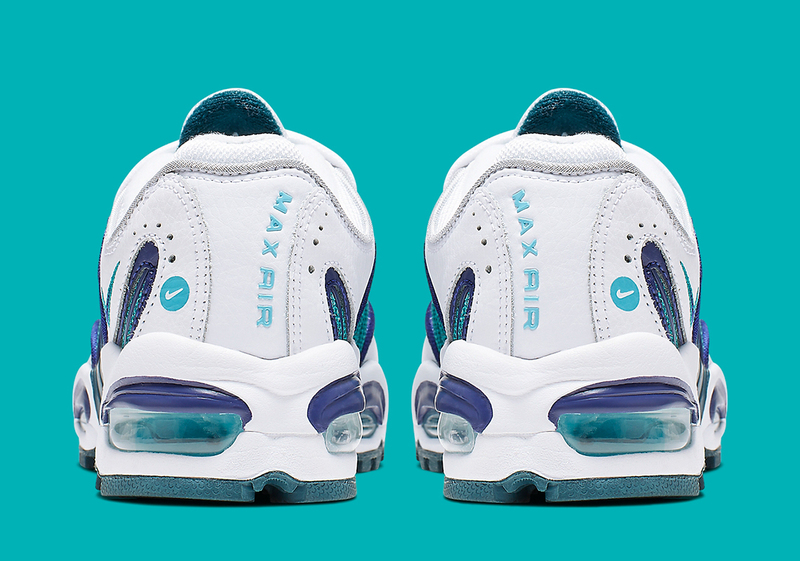 Although one’s based in basketball and one’s rooted in running, few things are more quintessentially ’90s than classic Charlotte Hornets uniforms and the Air Max Tailwind IV. Now, the two have been brought together on this kids-sized makeup that features all the teal and purple accents you can handle. The shoe’s upper is constructed mostly of a teal mesh, while rich royal purple is used for the midfoot’s signature plastic accents and the trim around the white leather overlays. 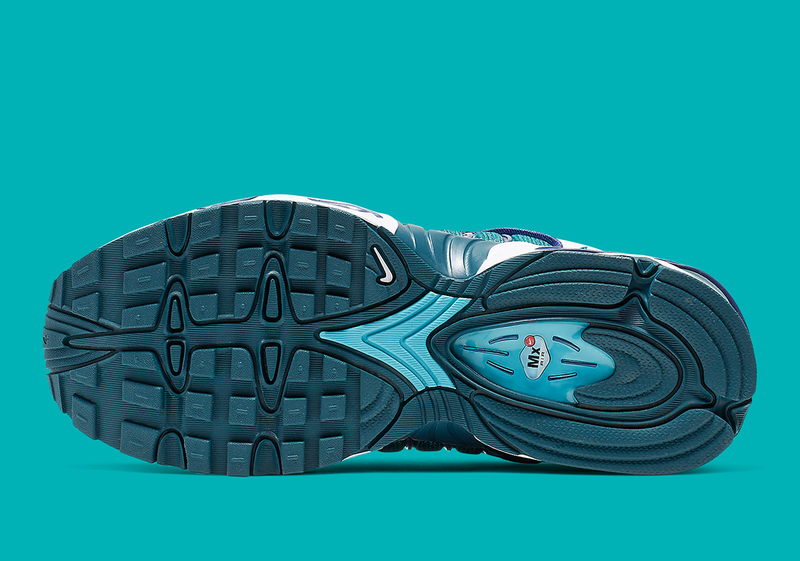 A slightly darker teal shade then appears on the center of the midsole and the leather toe cap for just a touch of tonal contrast. 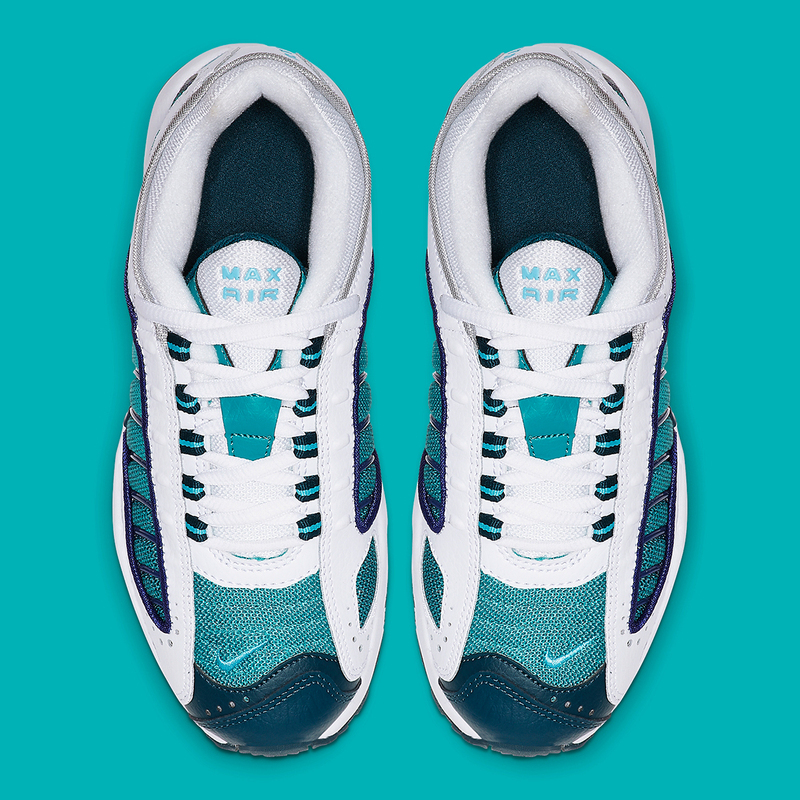 The fusion of purple and teal then continues on the Air Max cushioning units, while the shoe is grounded both literally and figuratively by a teal outsole. If you miss the days of LJ, Muggsy, and Steph Curry‘s dad Dell, you’re a dyed-in-the-wool Air Max fan, or you just want to pass the retro stylings of the Tailwind on to your little one, you’ll be able to grab these compelling kids-only kicks on Nike.com in the coming weeks. 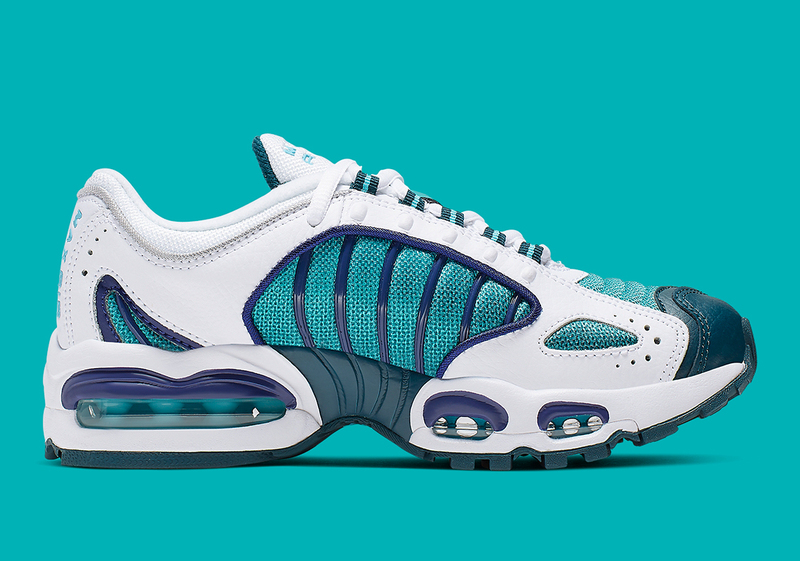 The post The Nike Air Max Tailwind IV GS Adds Purple And Teal Accents appeared first on Sneaker News.